J. SAKIYA SANDIFER:Â Largely recognized as the co-author of Kanye Westâ€™s THANK YOU AND YOU’RE WELCOME which sold 500K self-published copies, as well as his strategic partnerships that range from J.P. Morgan Chase, to 20th Century Fox Studios, to Bally Total Fitness, and to Bovis Lend Lease. BRYANT â€œPREACHERâ€� MOSS: Owner and Creative Director of EHP Transition Services and Concept Development Consultant to TV personalities such as Damon Wayans (My Wife and Kids), George Lopez (The George Lopez Show), and Jamal Mashburn (Former NBA All-Star, and currently ESPN personality). CARMELO G. GARCIA, MSIS, IM, PHM: Executive Director of the Hoboken Housing Authority, State Director for Young Elected Officials Network, Trainer for The Front Line Leaders Academy C.E.O. 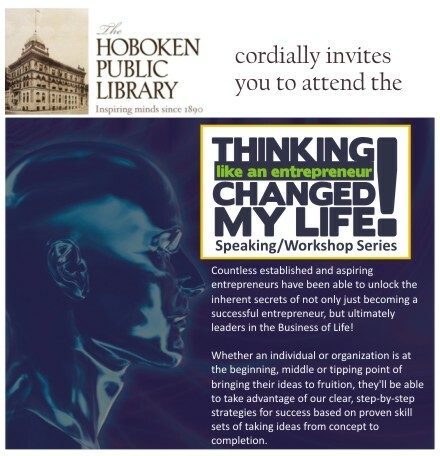 of 21st Century Consulting Group and founder of Hoboken’s Save the Youth Academy for at risk students.